It was a double date to set the scene and ended being a pretty good experience. Parking went alright. For first timers, be aware that parking is limited and one side of the street is limited to permits only – aim for the 2 hr parking if you can. 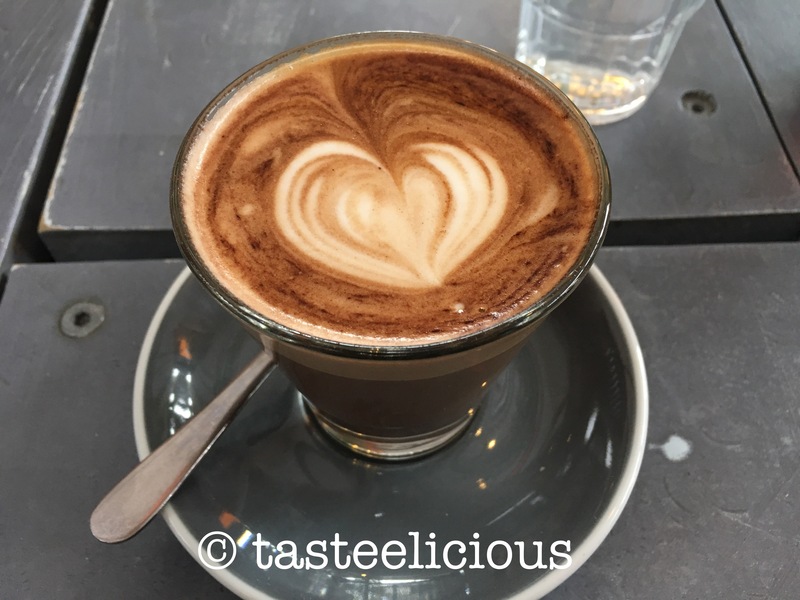 I had my usual mocha to see if it had any wow-ness. Although it didn’t wow me, it was quite a good mocha, not the sweet ones you typically get. So it was perfect. Coffee is all-press. 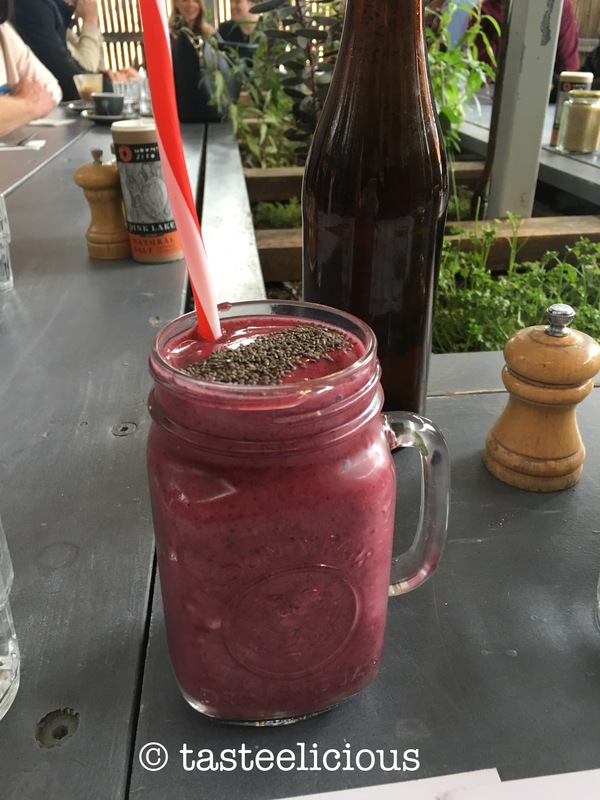 J had Acai Mixed Berry: Acai, mixed berries, banana + coconut water – $9.50. It was rather a thick smoothie, when tried it, I saw a ball not blended properly. Prefer it being a lighter smoothie. 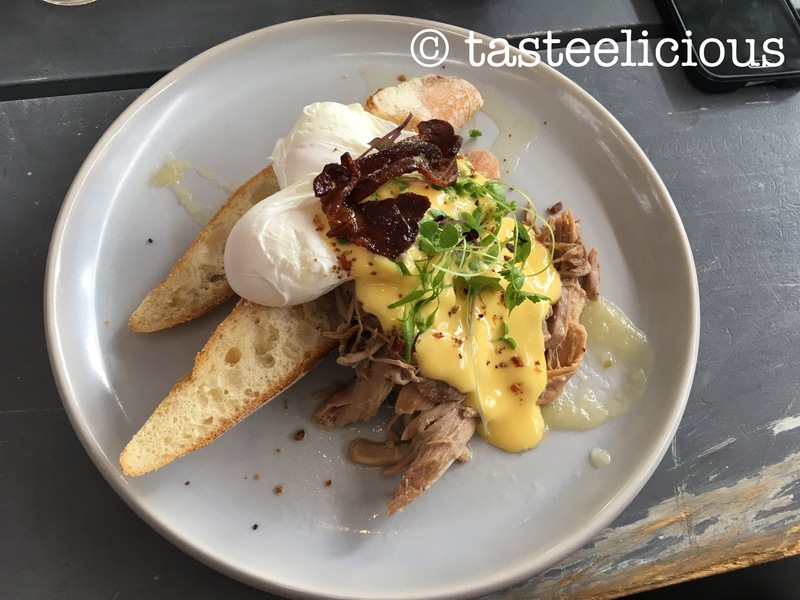 Then came the Eggs Benedict: Slow cooked pork shoulder W/ champagne poached apple, poached eggs, on toasted sourdough topped W/ apple cider hollandaise & maple bacon – $20.90. It was a pretty good pick. Bacon was glazed with honey which was interestingly good. Different to the traditional Egg Benedict aye? There was a consensus where it would be better with more flavour in the pork – some salt? 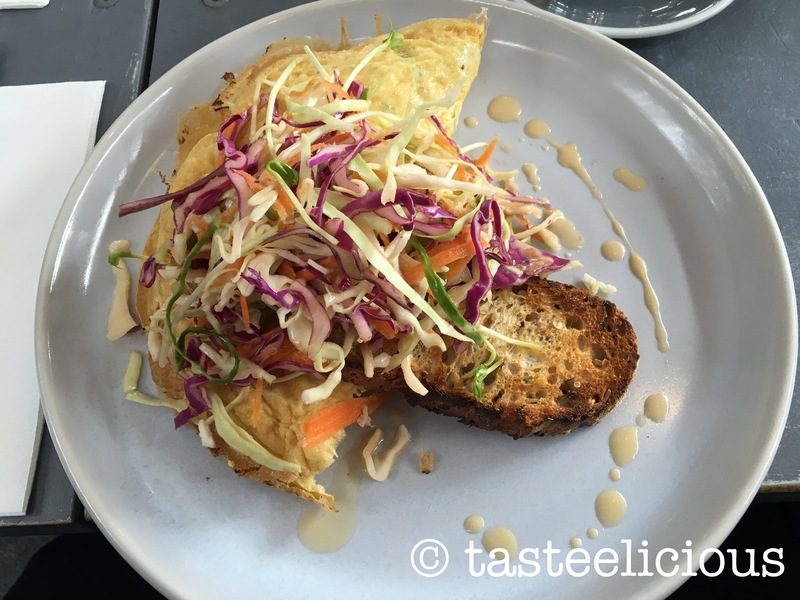 I ordered the Duck Omelette W/ Asian slaw + 5 grain loaf – $18.90. Again it was quite dry and the duck lacked flavour. It could either be no salt in the duck and adding a splash of fresh sauce. I can see some drizzle of the sauce but it was too little. (maybe fish sauce to compliment the asian slaw?). But a enjoyed the 5 grain loaf! Lastly, we also tried the BREAKFAST BOARD: Dukkha, poached egg on ciabatta, hummus + smashed avo. 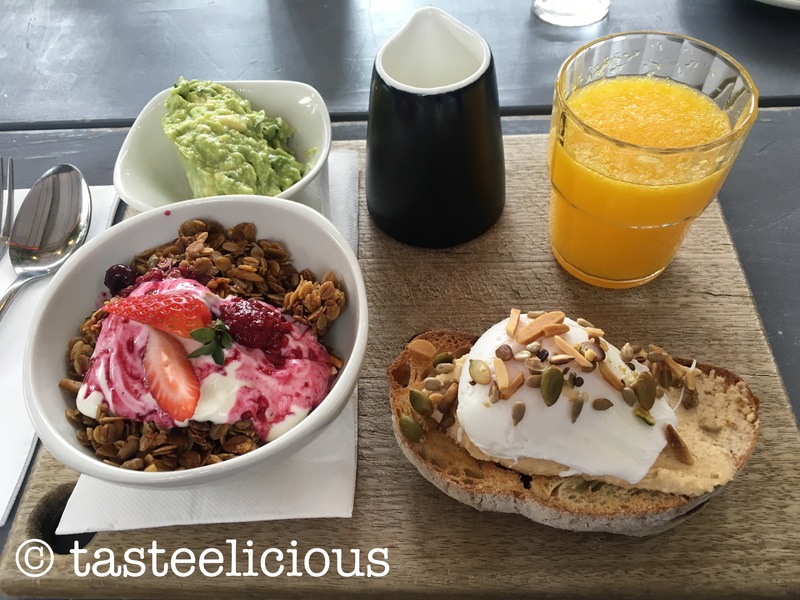 Muesli W/ vanilla bean yoghurt + macerated berries, small oj – $18.90. Overall, two out of three dishes lacked flavour. Maybe because Tall Timber’s theme is healthy and natural. But for me it didn’t hit the mark unfortunately. I admire their creativity on their dishes as there were many on the menu that you won’t be able to find in all cafes esp the Eggs Benedict dish. Drinks are good with a small disappointment. Ambience is great as there’s a shed dining area for fresh air with a herb garden in the middle which is quite relaxing. Staff are friendly.